UNC Hospitals Neurosurgery Clinic: If this is your first appointment, please ask your primary care physician or specialist to submit a referral request to us (see below). If you would like to make a return appointment, you may call your physician’s clinic directly. Locations: Chapel Hill, Hillsborough, and South Boston. 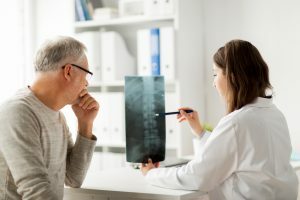 UNC Hospitals Spine Center: If you would like to make an appointment with the Spine Center, please call (984) 974-4200. Referrals are not required. Directions and parking. Thank you for allowing us to participate in your patient’s care. Providers who have access to UNC CareLink may submit a referral request online. If you would like to enroll, click on UNC CareLink and select “Request an Account.” You may wish to download an overview of the referral portal or view a step-by-step guide on how to sign up. Fax a completed New Patient Referral form and copies of the patient’s records to the number listed below. After the referral review process, we will contact you with a date and time of appointment and forward the necessary information to the patient.